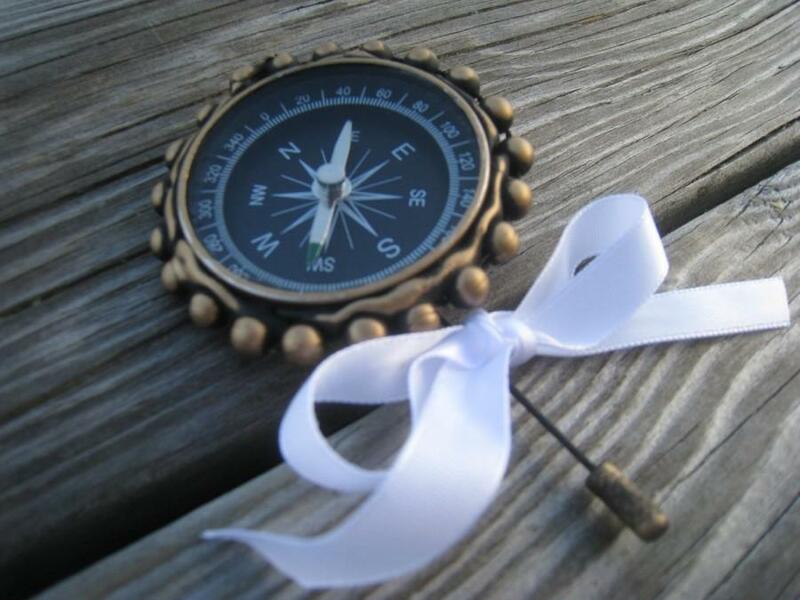 Steampunk Wedding - Compass Boutonnieres An alternative way to dress up your man's suite on that special day. A unique, steampunk styled boutonniere for the groom or the entire wedding party. Comes with organza gift bag.Hand Crafted and hand painted by me. Thank you for visiting my shop.